I’m back from a quick getaway to Shanghai, China to catch a much needed break, spend time with family, and discover more food spots in another corner of the world! While global coffee chains like Starbucks and Costa Coffee are incredibly popular and far reaching (with outlets even showing up in the likes of Zhujiajiao Watertown 朱家角 and Yu Garden豫园), that’s not to say local chains are not catching up, either. 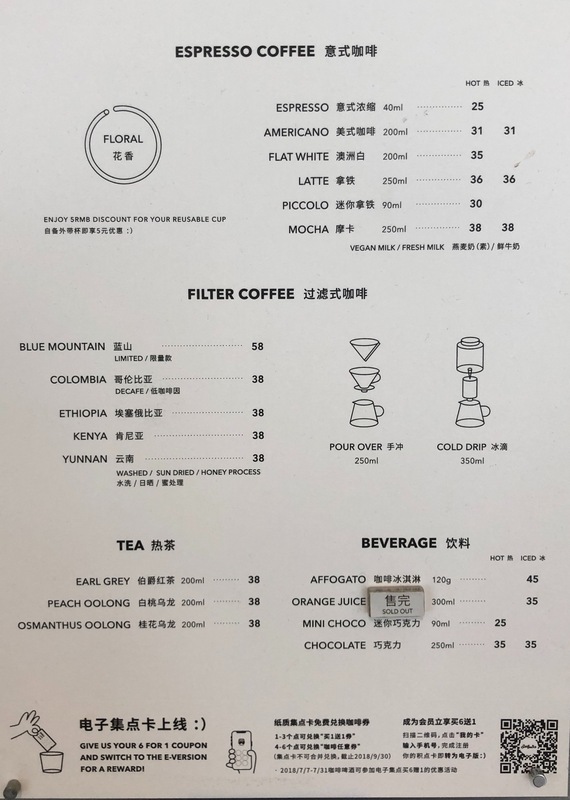 One name that popped up quite a few times during my trip research was Seesaw Coffee on Yuyuan Road, a popular spot with a hipster vibe, thanks to its location in the ground level of Jing’An Design Centre. The crowd, though small, was growing steadily when we visited on a rainy Friday afternoon. Locals and expats alike sat huddled around the courtyard, one of the more popular spots thanks to the generous amount of light seeping through the rooftop. Seesaw has a pretty dynamic range of filter coffees, from Blue Mountain to Kenya. Tea cravings can also be satiated with a choice of three types of tea, although it’s clear the customers are here for the former. Best of all, you get a discount of 5 RMB if you use a reusable cup! We got two Iced Lattes (36 RMB), the perfect antidote to the Shanghai summer heat. As we were due to catch our flight in a few hours, a light bite was in order. 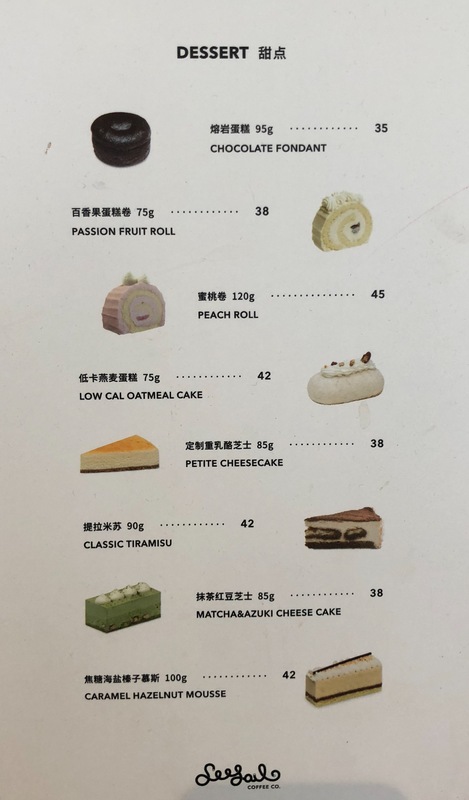 The Peach Roll (45 RMB) may be the priciest dessert on the menu, but the subtle taste and creaminess made it a worthy snack before leaving the city! With its chilled atmosphere and refreshing decor, Seesaw Coffee on Yuyuan Road makes it an ideal spot to while the afternoon away with coffee, cake, and people watching. Don’t leave without taking a snapshot on the wide spiral staircase leading to the design studios, a popular spot for Instagram photos!